Collins Booksellers - Addicted to Outrage: How Thinking Like a Recovering Addict Can Heal the Country??????? by Glenn Beck??????? | Conversation Starters by dailyBooks, 9788829540457. Buy this book online. An outrage incident happened in 1856 when South Carolina congressman Preston Brooks beat up Republican Senator Charles Sumner with his gold head cane. Brooks hated Sumner's politics and thought the only way to retaliate to his vicious speeches is to smash him with his cane. He did not stop until Sumner lay bloodied and unconscious. Author Glenn Beck writes that the division between the two men and their political supporters continued to fester and eventually erupted into the Civil War. Today’s virtual war between the same political parties continues with their use of social media. Glenn Beck likens social media addicts to people addicted to substances. We are all social media addicts and we need to recover, he says. 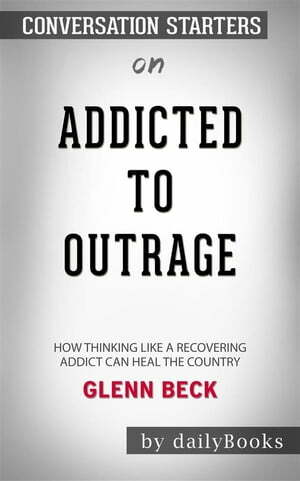 Addicted to Outrage is authored by Beck who has written numerous books, thirteen of which are New York Times #1 bestsellers.